Festus Okey, was born in 1975, in the Abia state of Nigeria, one of eleven children born to a farming couple. His brother Tochukwu migrated to South Africa to support his family in their poverty, but told Festus that conditions were very bad there, leading Festus to come to Istanbul instead in 2005. 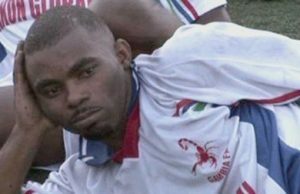 He worked in temporary jobs and played football with amateur teams in the so-called African league of Istanbul, a league which gives hope to many African young men to be discovered by the agents of professional football teams and therefore become a reputed player. His friends were calling him Okute. By coincidence, he appeared in an independent documentary which reported on the league, firstly recorded while running in the field, then unexpectedly during his funeral (how his murder was initially acknowledged by the press). On Wednesday the case on the murder of Festus Okey in Beyoglu police station of Istanbul 11 years ago was reopened. Although the audience was not allowed to enter the courtroom several newspapers report about the trial. In Festus Okey case, which has been reopened after 11 years, the court ruled that necessary documents for visa procedures for Okey’s family shall be provided. DNA reports have also been requested to prove blood relations between the family members. 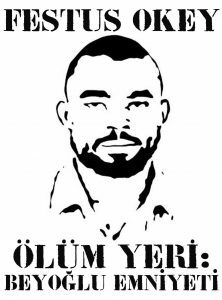 The case of Festus Okey from Nigeria, who was killed at Beyoğlu Police Department in İstanbul, has been reopened after 11 years. 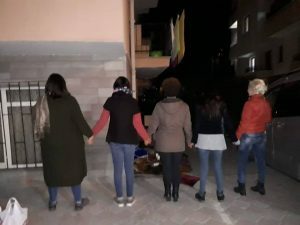 We have previously posted about Derya, the Irani asylum-seeker who was protesting for more than a month in front of UNHCR on the claim that she has no life security in Turkey because of the life threats she has been receiving from her brother. Reports arrived a couple of days ago that non she has been missing. A woman supporter who went to visit Derya in front of the UNHCR building could not find her and asked to the security guard, the guard responded that ‘someone took her’. The lawyers who support Derya could not find any information through UNHCR, DGMM or police stations. We are looking forward to find out where Derya is, we are urging the authorities to take an action to find her, particularly on this significant day, 25th of November, the international day for the elimination of the violence against woman. See our post on social media for that matter. 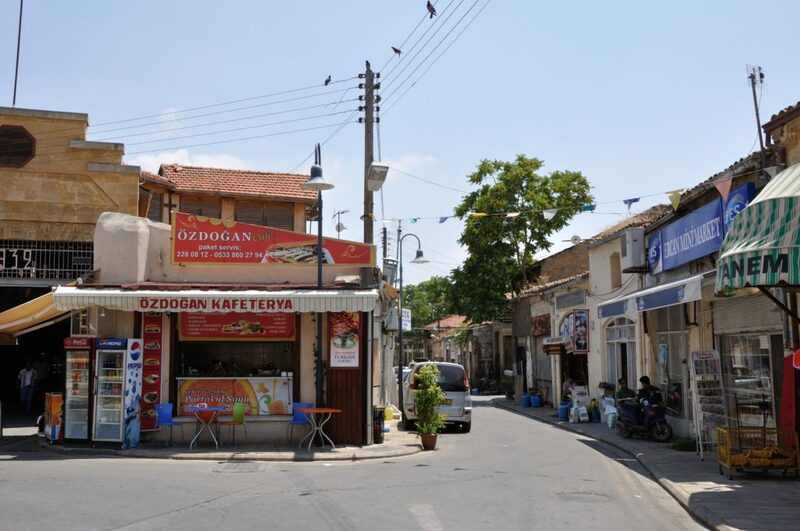 Via Focaal Blog – Cemile Gizem Dinçer and Eda Sevinin interviewed Nicholas De Genova in Istanbul when they attended the conference “Migration, Social Transformation and Differential Inclusion in Turkey”. Derya, a woman asylum-seeker from Iran and a survivor of SGBV has been demonstrating in front of UNHCR Ankara office since one month now. UNHCR has already left the authority of refugee status determination totally to Directorate General of Migration Management on September. However, many refugees like Derya has filed their asylum applications earlier to UNHCR and expecting to receive attention and possibly a positive answer of resettlement to a third country from the international institution. Derya’s resistance has been brought to public attention in Turkey through some news covers and solidarity attempts of feminist groups. Here we put together Derya’s story through the humanitarian lawyers and her own account.